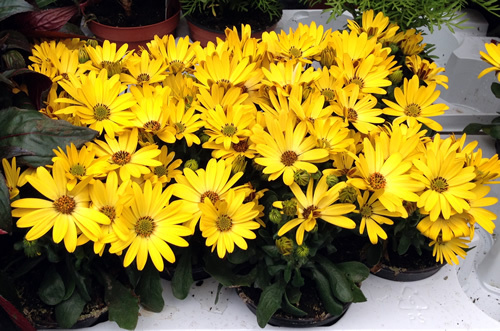 It is a known fact that daisy plants are considered appealing and easy to grow. This is the reason why these plants became a popular choice in many gardens and backyards. Daisies can thrive well if planted in containers or flowerbeds. When daises are cut, they are ideal if used in arrangements indoors or if placed in a vase. These vibrant and jolly flowers are also commonly used in corsages. Today, there are many varieties of daises plants and they tend to vary in height from one up to three feet tall. Majority of daisies are perennials, thus they continue to grow back year after year. The only exception is the African daisy since it is an annual and you have to replant it every year. The most popular variety is the Shasta daisy. They are either single or double blooming flowers in white with centers that are yellow. The Painted daisies are readily available in various shades such as red, pink, and lavender and even white. If you are going to plant daisies in your garden, you can start by planting seeds that you have to sow directly in your garden. In no time, they will start to bloom the second year after they are planted. Make sure that you will select a properly protected space in your garden with soil that drains properly, rich and receives adequate sunlight. You can even combine compost to your present garden soil. Try to level the area using a rake or hoe to scratch the top soil and simply distribute the seeds. Cover them with soil lightly and make sure that the area is moist until the seeds have germinated. The moment the seedlings are about 2-3 inches in height, thin them out by planting them with 12 inches space apart. Do not forget to water them once they look dry. The young plants can be transplanted to the permanent spots during early fall or the next spring. Always remember that daisies look their best if they are planted in groups or clumps. After three or four years, you have to dig them up and divide them to prevent overcrowding. Take note that an overcrowded bed of daisies will result to unproductive blooms and will eventually lead to unhealthy plants. Daisies are not easily affected by diseases or insects. This is the reason why they are popular while at the same time making the preferred plants for beginning gardeners out there.